This summer I am planning a remodel for my Sunday School room at church. 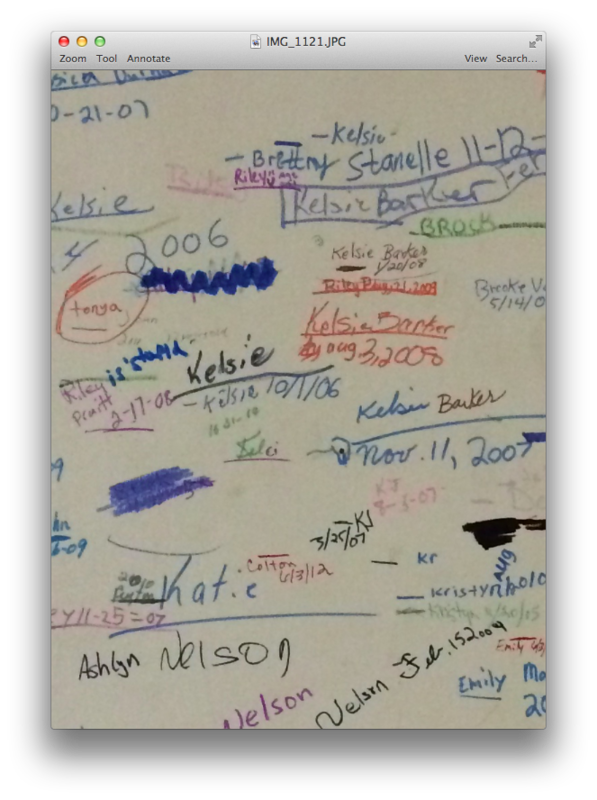 The third and fourth graders that have traveled in and out of that room over the years have helped with the necessity of a remodeling. The door won’t shut and is covered with graffiti. And I love it! Well, not the no-shutting part. 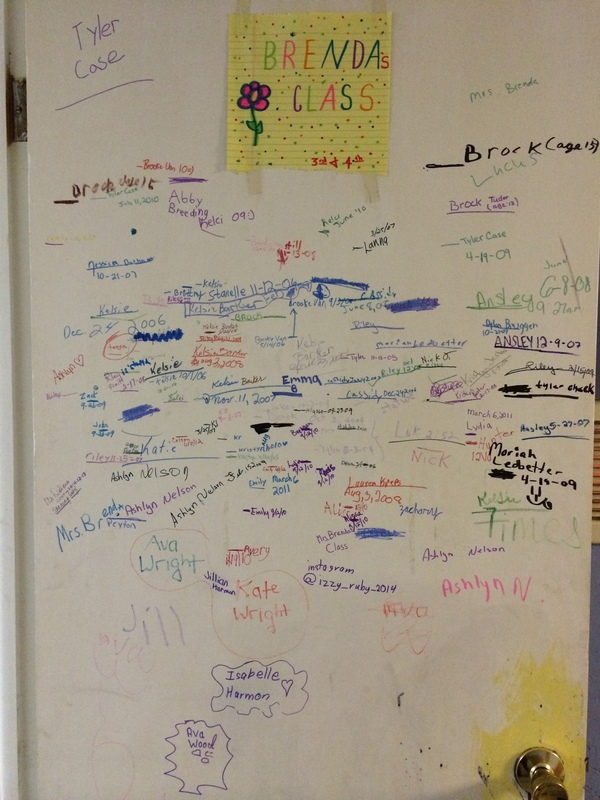 The door to my Sunday School class is covered with the names of many of the children that have come through that door on Sunday mornings for the past years. One of them made me a happy sign for our door. A happy sign because we have a happy class. Quite a few years ago I started measuring them up against that door and then putting the date of the measure. For the two years that they are with me they get measured and marked. And as the door below shows, the kids come back and continue to measure and mark. 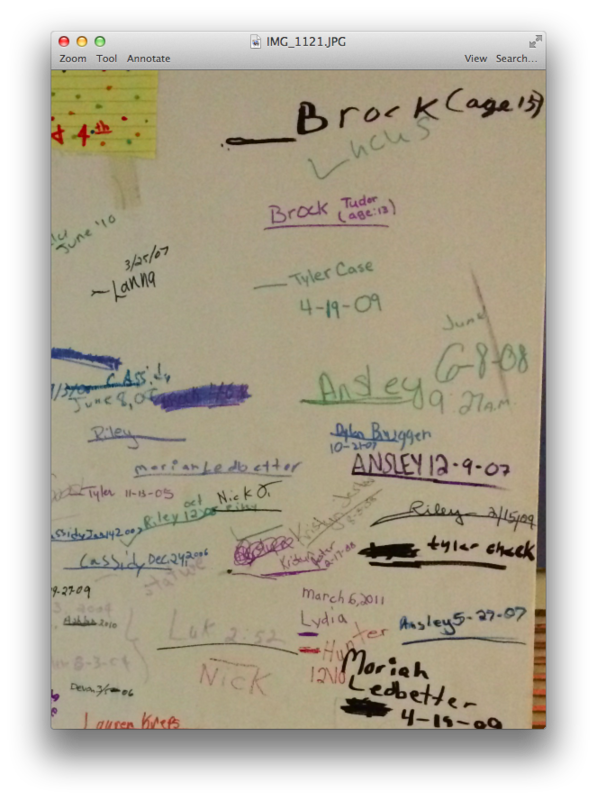 Some of the names of “my” kids over the years. 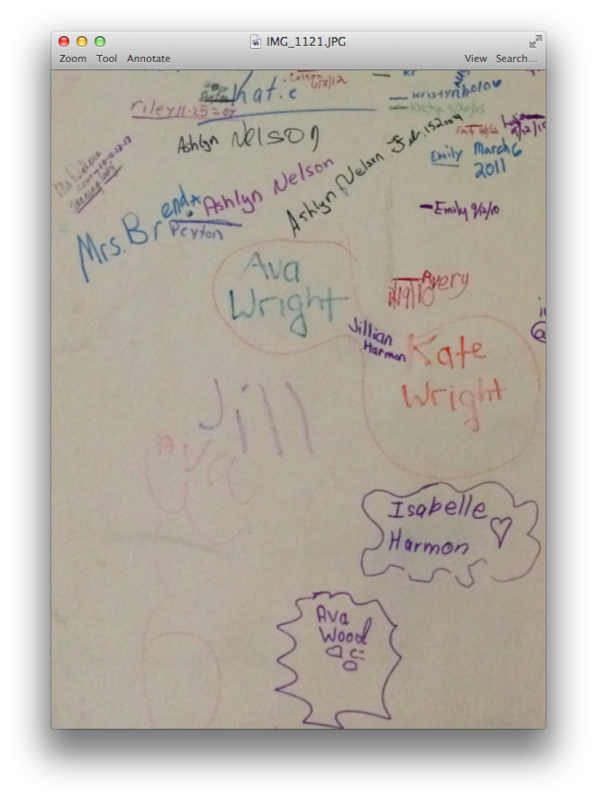 Some of my Third-Fourth Grade Class wannabes come up and leave their names with hearts or in circles or just written across the door. It’s always a treat to have my “old” class alumni come back for a visit. Some of the alumni are getting married this year. That’s how long it’s been. I think I have been teaching for a long, long time. And my room is in dire need of an update. 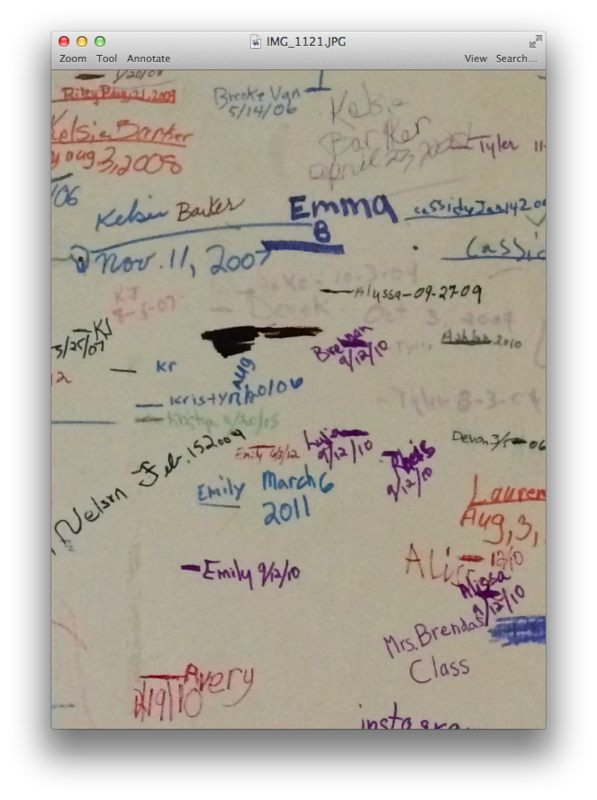 Look how much Emily grew in the two years she was in my class! My heart swells with love and appreciation when I look at that door. For each child. For their excitement in putting their mark on our door. For the fact they come back and visit me. For the salvation of many of them. For the stand some of them take for their Savior. For the privilege God gave me to teach these treasures. I’m so glad that my kiddos have had the pleasure of having you for their teacher! Awesome, B. You’re impacting lives 🙂 And wow, I love that door idea. I can’t see that happening in my church – can’t muss up the place, you know…but we do have chalkboard walls that the kids write all over! Keep up the good work!